Do you like crochet? (Pronounced crow-shay.) No, it’s not a country in Southeastern Europe, that is Croatia. And no, it’s not something that you eat, that’s croissant. Crochet is a handicraft in which yarn is weaved into a patterned fabric using a hooked needle. 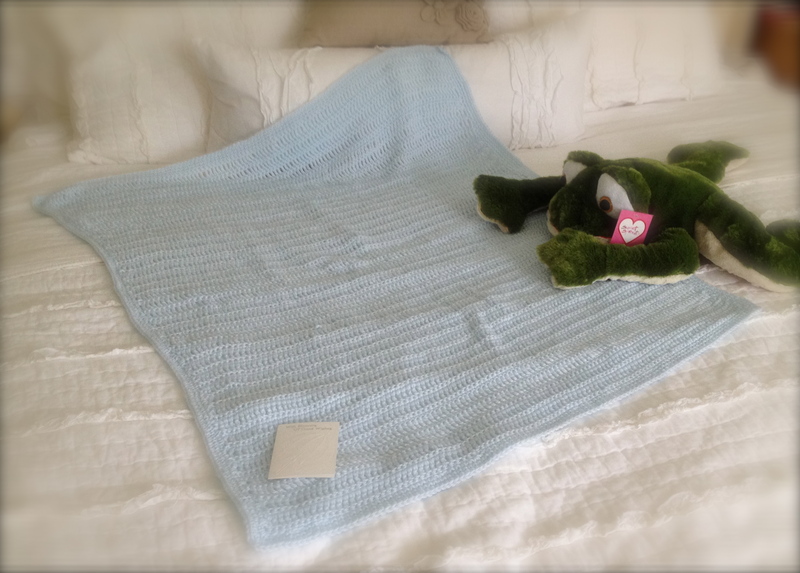 Years ago when we were still in Florida, I received a dainty crochet blanket as a gift. It was made by one of my patients. She learned that my wife and I were expecting a baby boy, and thus she lovingly made a baby blanket for us. Crocheting and knitting are endeavors that need basic skills, some appropriated time, and a great deal of patience. It also takes vision on how the finished piece would look like while you’re still working on it. Sometimes it is hard to foresee the beautiful final art when what you only have is a small knitted mess, an entangled needle, and lots of balls of yarn. When my patient gave the baby blanket to us, she told me that it took her a longer time to finish it as she was not as fast as she used to. You may be amazed if I tell you that my patient was ninety-one years old at that time! And frail too. With her advanced age, failing eyesight and with her arthritic hands, it was really a labor of love. The more amazing part was, according to the patient’s daughter, halfway through the project, she made an error on the pattern but realized it much later. So she uncrocheted (is that a word?) or undo the piece up to the area of the mistake, and weaved it back over again. What have I done to deserve this gift? I am not sure. My son is now eleven years old. The crochet blanket sits in our closet. But I cannot give it away, as I know how painstakingly it was created. It is like an heirloom now. Maybe someday my son will use it for his own baby. More recently, I received another knitted piece. 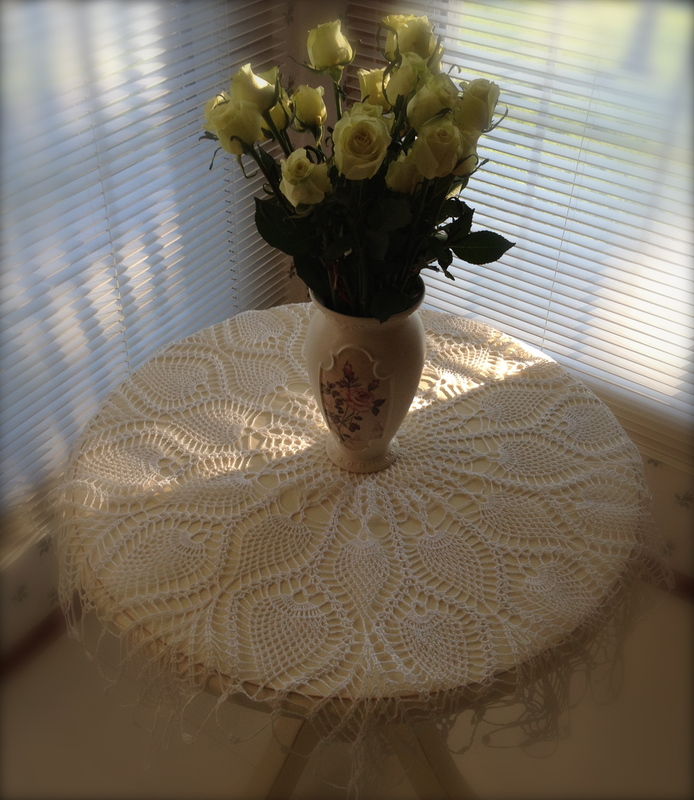 It was a lovely table cover. It was done by a lady that was recovering from cancer. I know that she just finished chemotherapy then, as her hair have not grown back fully, when she gave the gift to me. However, the lady was not my patient. Her husband is. I diagnosed him with Idiopathic Pulmonary Fibrosis (IPF) – a deadly debilitating lung disease that has no known treatment at this age of modern medicine. Oxygen and comfort measures are the only things we can offer. Most patients die within 3-5 years after the diagnosis. And the sad part is as the lungs progressively fail, they suffocate to death. Needless to say, my patient, like all other IPF patients, died within a couple of years. Yet his wife, who herself was sick, gave me this beautiful knitted item, which is definitely a handiwork of love. It now sits atop one of our coffee table. Again, what have I done to deserve this? It should be me offering inspiration and comfort to them. Instead it was I who was inspired by them. Life can be difficult and downright harsh at times. Yet this knitted creations are testaments of human love. They are constant reminder to me, that people, no matter what the circumstances they are in, can be thankful and giving. And this makes this world wonderful, despite of all the ills we find in it. We may not all learn how to knit or crochet. But maybe we can all learn to live kindly with one another and inspire one another in a loving knit of humanity. What a beautiful handiwork that would be.